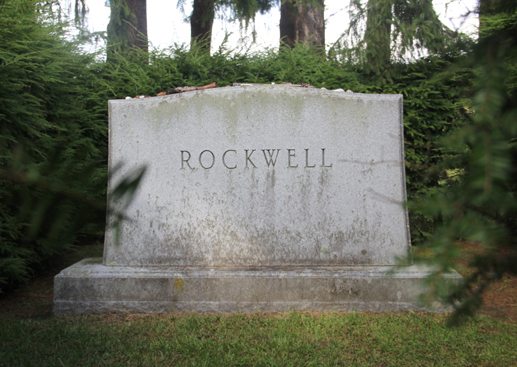 Stockbridge, MA, October 17, 2018—Norman Rockwell Museum will present a walking history tour of Stockbridge Cemetery on Thursday, October 25, starting at 5 p.m. The Museum’s Curator of Education Tom Daly will lead the tour, which looks at the burial sites of such luminaries as Norman Rockwell, Elizabeth Freeman, the Sedgwick Family, and other notable town residents. A cider and donut reception will precede the tour, which will meet at the former town hall’s bell tower parking area. Admission to the event is $5, free for members and children 18 and under.